E: Guided Scalloping in Crystal River with Captain Dustin! Our guided scalloping trips are your way to scallop with ease. Our USCG Licensed captains take you out to one of the best scalloping spots in the state. These 5 hour adventures are the best way to partake in Florida's Nature Coast Bounty !! A: Guided Scalloping in Crystal River with Captain Ed! B: Guided Scalloping in Crystal River with Captain John! 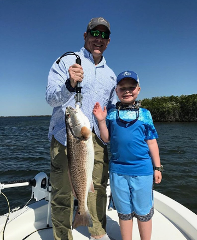 G: Guided Scalloping in Crystal River with Captain Jeff Mauldin! Go on a fishing charter with one of our experience captains! This 5 hour trip includes everything you need. Guided Scalloping in Crystal River with Captain Dallas!